Posted on April 15, 2019 by Mario Campos. Colors: Darker more natural colors today. Black head / Pumpkinseed tail, green head/ motoroil tail, orange head/ black tail..that sort of mix should work well today. Crossing to Bluegrass island is permitted- for now . They may close it down this morning as the water continues to rise. 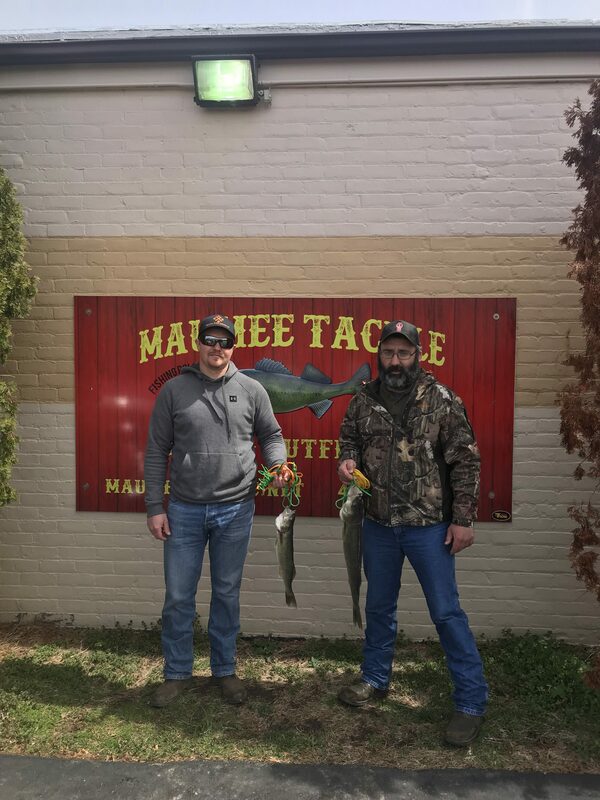 Big Jack Winner- John Geach-5.38 lbs caught just off of Schroeders farm. orange head / green tail. Ford street, the towpath , Buttonwood and jerome Rd Rapids are the best areas today . Davis Overlook has been good as well. 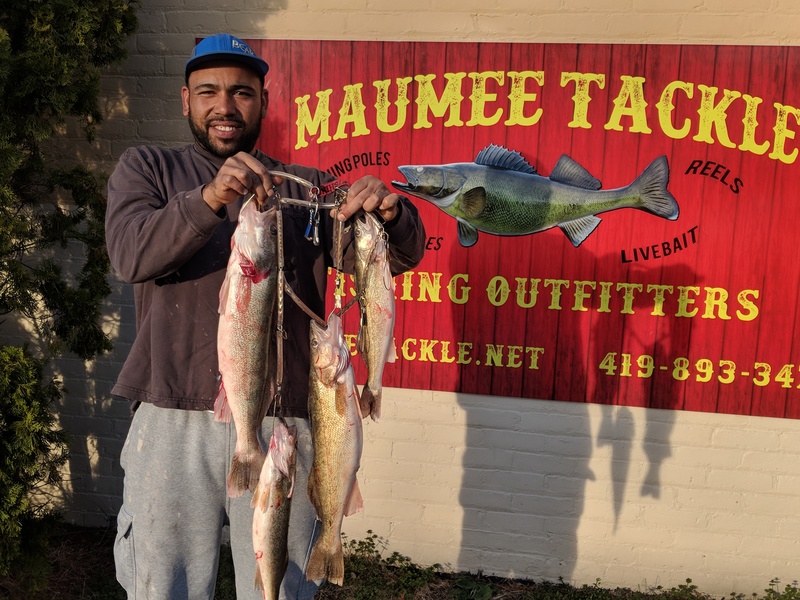 Well Sunday morning was cold and rainy(38 degrees) This Monday morning is cold again(35 degrees) , while it it doesn’t feel great on the fingers and toes its good for extending the walleye run. The cold nights are keeping the river temp pretty stable right around that optimal 45 degree mark. 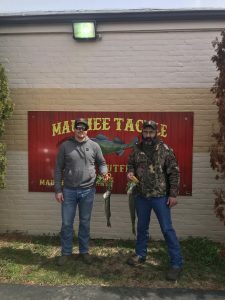 Expect another wave of fish to come in from the lake this week. Read my post from April 6th- The forsythia bushes are just starting to bud(bright yellow bushes) and should be in bloom closer to the weekend, so according to some of the natural indicators we are just getting t0 the peak of the run. 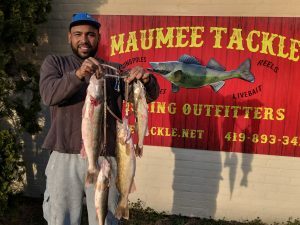 Several years ago , back in 2012 , I read an article by Matt Markey of the Toledo Blade about the relationship between the walleye running and the Forsythia bushes that are planted all around the area. I have heard that the Native Americans also used the the bloom of the plant as a gauge as to when to harvest the fish, Over the years I have kept an eye on the bloom and the peak of the run- and they do seem to be in sync. Science is great but sometimes the old ways are the best ways. 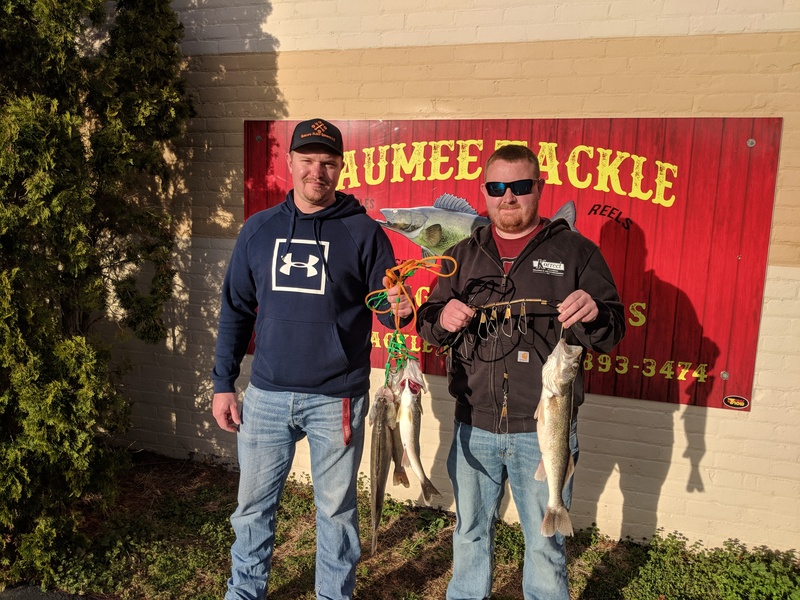 Have fun , be safe and good luck fishing.